The very idea of a public intellectual is something that has remained always mysterious and almost elusive in the modern society. There does not seem to be ready made definition for describing somebody as worthy of being called a public intellectual, because perhaps, there could not be or should not be---public intellectuals appear to be beyond definitions. It appears that a public intellectual is generally defined by what is 'not', what does he or she not stand for. At the present crossroads that the Indian public life appears to be--appearing to look forward but somewhere slipping back too-- the need of a public intellectual appears to be the most urgent now. Do we have one, can we hope to have one? Such issues we seem to grapple endlessly especially in the times of social media, internet and 24x7 TV, though not so urgently and prominently. TA: But it is an irony, is it not, Edward, that Marxism as a mass political current is, I wouldn't say wiped out, but let's say in very heavy retreat, yet it exists, it functions, it's become an academic discipline. ES: It's only an academic discipline, in this country. There isn't a Marxist movement. ES: Not even an intellectual Marxist movement. There are people who call themselves Marxists, and who are completely removed from the practice of everyday life, in which political struggle, in which political writing, in which political solidarity, are essential. They're just not part of it. There are very brilliant Marxists who are academics, like Fred [ric] Jameson, who is a great, great critic and theorist, but he is really not in the political world, and it's in that world that I find myself without too many allies. TA: But this is a supreme irony, is it not, that Marx, who himself was very engaged politically, has followers who are totally aloof from all that? TA: In one of your recent books, the book on music, you'have written: 'No social system, no historical vision, no theoretical totalization, no matter how powerful, can exhaust all the alternatives or practices that exist within its domain. There is always the possibility to transgress.' Now you have written this about music, but it applies to virtually everything, doesn't it? ES: Yes, because I mean it really as a social fact. That there's always an opportunity, no matter how one feels oneself up against the wall with no alternative but to submit--which is usually what its all about in the end--there's a always an opportunity to do something else. There's always an opportunity to formulate an alternative, and not either to remain silent or to capitulate. I think it's the most important social precept for me, and in a certain sense it governs my understanding of politics. Because if politics is simply as it's supposed to be according to neo-realism and pragmatism and all the other schools that rule the day, if politics is simply the art of the possible and the art of the conclusive and the art of the compromise, I think it's the role of the intellectual always to be asserting the alternative. TA: In your Reith lectures for the BBC you stressed this fact, about the role of public intellectuals, and one critic said, this may be true, but why does he forget that public intellectuals can often belong to the right as well as the left? ES: Yes, of course. There's no question about that. 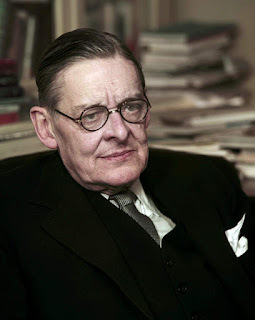 My sympathies are on the left and I'm more interested in the view of the world, as it were, so formulated by what I would consider to be progressive and left intellectuals, but it's certainly the case that historically people like Wyndham Lewis, for example, or T. S Eliot, who are right wing intellectuals, formulated and took as their vocation exactly that precept. I don't think it's limited to those of the left--it happens to be my interest, and my predilection and my sympathy, but it's absolutely true of both left and right. TA: But isn't it the case now that increasingly the public intellectual is a figure who seems to be disappearing? ES: No, not disappearing at all! I mean, disappearing in my sense, perhaps. But it seems to me the world is full of, not so much intellectuals, but I call them experts and professionals--and that is, I think, a great threat to intellectual freedom and intellectual performance---the extraordinary pressure placed on them to commodify their skills or expertise in a given field like foreign policy. Or foreign policy about Africa or foreign policy about India, or foreign policy about Latin America, right? And by virtue of that, who then belong to a community of experts whose whole role is selling their wares to establishment. That the principal goal in mind is not to tell the truth, or to say what the alternate to the present impasse is, but rather to maintain the status quo, to satisfy the customer, to really be a creature of the clientele, rather than of the cause or idea that one as an intellectual ought be serving or at least representing. So it's not a qusetion of public intellectuals disappearing---I mean, Kissinger is on television all the time, Brezinsky is on television all the time, Paul Johnson is on television all the time, these are public intellectuals who talk the language of the market-place, who represent the ideas of power that rule the world in which we live. ES: Exactly, it's the dissenting intellectual that I think is disappearing, largely because the system neither wants nor can in the end accommodate this person. And that's why someone like Genet is so important to me, Genet as a non-compromiser--I mean, that's an impossible sort of position to maintain. 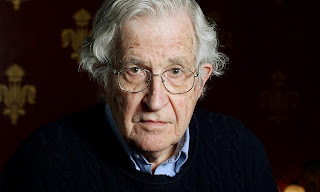 Chomsky is similar. Somebody who is simply unpalatable for the very fact that what he or she says or represents is simply too much for the ongoing system and therefore is rejected. 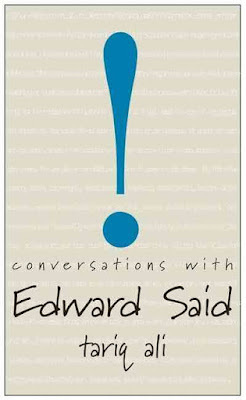 Edward Said, in full Edward Wadie Said, sometimes Edward William Said (born November 1, 1935, Jerusalem—died September 25, 2003, New York, New York, U.S.), Palestinian American academic, political activist, and literary critic who examined literature in light of social and cultural politics and was an outspoken proponent of the political rights of the Palestinian people and the creation of an independent Palestinian state. Said’s father, Wadie (William) Ibrahim, was a wealthy businessman who had lived some time in the United States and apparently, at some point, took U.S. citizenship. In 1947 Wadie moved the family from Jerusalem to Cairo in order to avoid the conflict that was beginning over the United Nations partition of Palestine into separate Jewish and Arab areas (see Arab-Israeli wars). In Cairo, Said was educated in English-language schools before transferring to the exclusive Northfield Mount Hermon School in Massachusetts in the United States in 1951. He attended Princeton University (B.A., 1957) and Harvard University (M.A., 1960; Ph.D., 1964), where he specialized in English literature. 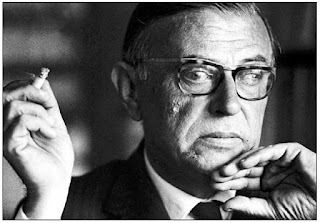 He joined the faculty of Columbia University as a lecturer in English in 1963 and in 1967 was promoted to assistant professor of English and comparative literature. His first book, Joseph Conrad and the Fiction of Autobiography(1966), was an expansion of his doctoral thesis. The book examines Conrad’s short stories and letters for the underlying tension of the author’s narrative style; it is concerned with the cultural dynamics of beginning a work of literature or scholarship. Said was promoted to full professor in 1969, received his first of several endowed chairs in 1977, and in 1978 published Orientalism, his best-known work and one of the most influential scholarly books of the 20th century. In it Said examined Western scholarship of the “Orient,” specifically of the Arab Islamic world (though he was an Arab Christian), and argued that early scholarship by Westerners in that region was biased and projected a false and stereotyped vision of “otherness” on the Islamic world that facilitated and supported Western colonial policy. Although he never taught any courses on the Middle East, Said wrote numerous books and articles in his support of Arab causes and Palestinian rights. He was especially critical of U.S. and Israeli policy in the region, and this led him into numerous, often bitter, polemics with supporters of those two countries. He was elected to the Palestine National Council (the Palestinian legislature in exile) in 1977, and, though he supported a peaceful resolution of the Israeli-Palestinian conflict, he became highly critical of the Oslo peace process between the Palestine Liberation Organization and Israel in the early 1990s. His books about the Middle East include The Question of Palestine (1979), Covering Islam: How the Media and the Experts Determine How We See the Rest of the World (1981), Blaming the Victims: Spurious Scholarship and the Palestinian Question (1988; coedited with Christopher Hitchens), The Politics of Dispossession (1994), and Peace and Its Discontents: Essays on Palestine in the Middle East Peace Process (1995). 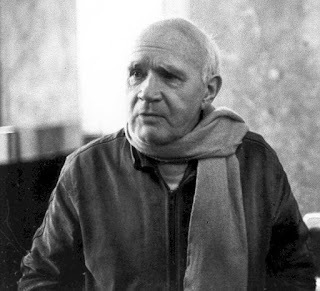 Among his other notable books are The World, the Text, and the Critic (1983), Nationalism, Colonialism, and Literature: Yeats and Decolonization (1988), Musical Elaborations (1991), and Culture and Imperialism (1993). His autobiography, Out of Place (1999), reflects the ambivalence he felt over living in both the Western and Eastern traditions. In addition to his political and academic pursuits, Said was an accomplished musician and pianist. 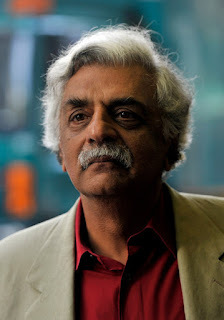 Writer, journalist and film-maker Tariq Ali was born in Lahore in 1943. He was educated at Oxford University, where he became involved in student politics, in particular with the movement against the war in Vietnam. On graduating he led the Vietnam Solidarity Campaign. He owned his own independent television production company, Bandung, which produced programmes for Channel 4 in the UK during the 1980s. He is a regular broadcaster on BBC Radio and contributes articles and journalism to magazines and newspapers including The Guardian and the London Review of Books. He is editorial director of London publishers Verso and is on the board of the New Left Review, for whom he is also an editor.His fiction includes a series of historical novels about Islam: Shadows of the Pomegranate Tree (1992), The Book of Saladin (1998), The Stone Woman (2000), A Sultan in Palermo (2005), and Night of the Golden Butterfly (2010). These five books are collectively known as 'The Islam Quintet'. His non-fiction includes 1968:Marching in the Streets (1998), a social history of the 1960s; Conversations with Edward Said (2005); Rough Music: Blair, Bombs, Baghdad, London, Terror (2005); and Speaking of Empire and Resistance (2005), which takes the form of a series of conversations with the author. The Leopard and the Fox (2007) is the script of a three-part TV series commissioned by the BBC and later withdrawn, and includes the background to the story. His books of essays include The Clash of Fundamentalisms (2002), and The Protocols of the Elders of Sodom (2009). 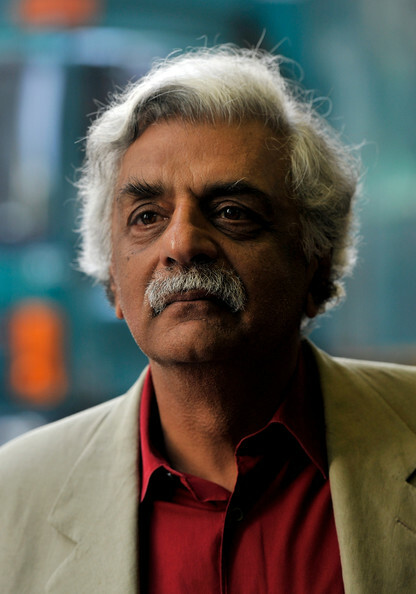 Tariq Ali's latest book is The Obama Syndrome (2010).